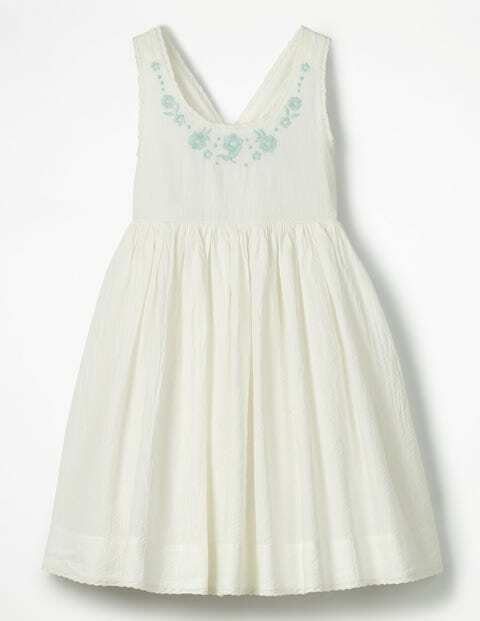 Twirl until the music stops in this charming dress. The full skirt is light and airy thanks to the simple cotton design. The elasticated back and crossover straps keep it comfortable, while the lace trim, floral embroidery and scalloped hem add extra sweetness. It's all wrapped up with a big bow at the back. Who's for pass the parcel?